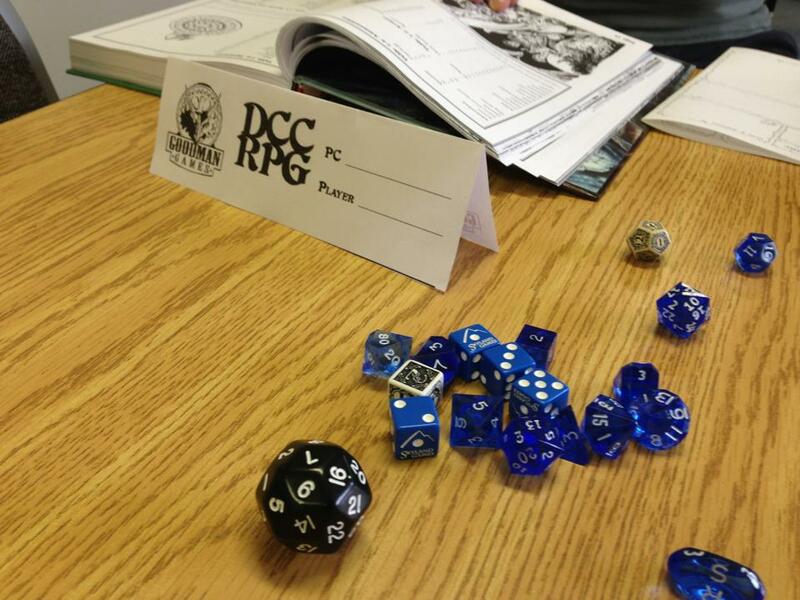 I have been GMing DCCRPG recently at our Friendly Local Gaming Store, and week in and week out the party make-up changes by whomever decides to show up that week. It has been a liberating experience in a lot of ways, and has led to tables with as few as one and as many as five players. This got me thinking about the size of gaming tables. The Skyland Games guys have had a lot of fun playing a lot of Pathfinder Society in the last few years, and with any kind of organized play there is a minimum table size (generally 4 PCs, but it can be 3PCs and the GM running a pre-gen in a pinch). I think that got us in a mindset of not even getting together unless we could get most, if not all of the party together. This last week we had a table of three of the four players from the week before. The party consisted of a thief, a halfling, and a warrior, and I reprised my GM role as Izdren the Useless cleric. We were running through the second week of Doom of the Savage Kings, and had gotten to a section that was a pretty straight forward dungeon crawl. Having just 3 players at the table allowed for a lot of freedom to run little vignettes for each character if they had a specific goal in mind. Normally this kind of “splitting the party” is an RPG cardinal sin (Although that didn’t make our Gaming 10 Commandments). But with only 3 players, if the GM and the PC keep the scene moving it can be entertaining for the entire group. We had a couple of prime examples this past week. For one, the thief wanted to break in to the temple in town and steal what he had heard was a magical artifact, one with which the priests of the temple were none-too-eager to part. We ran a quick scene of him scaling the walls at night to an open window, scaling back down and falling on his face, alerting some of the priests. As the thief’s character is somewhat of a crazy person (actually a con-man that just acts crazy) he was not met with hostility, but roughly escorted out of the temple. He eventually tried again, and succeeded. Leaving a skull behind in place of the artifact, in his words “Like Indiana Jones in the Raiders of the Lost Ark!” It ended up being a very fun scene. Near the end of the adventure, there is a little crawl space in which a halfling can maneuver fairly easily but it would be tough for just about anyone else. That crawlspace leads to two very important rooms, both with treasure, one with a super-deadly trap. Thanks to some excellent rolls, and the judicious use of halfling luck, he survived. In both of these cases, it gave the opportunity for a particular PC to shine, without grinding the game to a halt. I’ve run this adventure for a much larger table, and again the PCs wanted to run off and do separate things in the town. With a table of six, it was a much different experience. It becomes much more difficult to get back to each player and make sure they’re engaged in the scene even if they may not be central, or may not even be present; with three it didn’t seem as difficult. 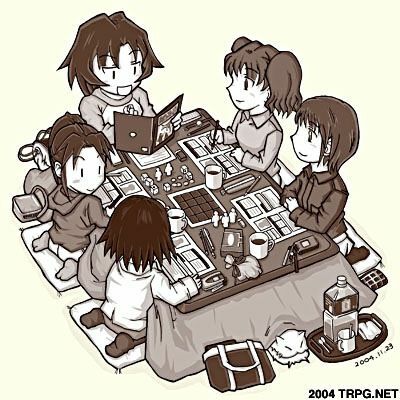 I think ideally, an RPG table should consist of four players and a GM. That being said, I’ve had a great time running for just one person, or a gang of seven. What’s your perfect table? I don’t know if they do it anymore, but back in the days before the internet, people used to put up posters with little tear-tabs in their local gaming store saying things like “GM willing to run Traveller, Dungeons & Dragons 2nd Edition or Champions – Emphasis on Role Playing and Character Development.” Presumably that was meant to imply that the standard sop walking around playing RPG’s was all crunch and into smashing things, killing important NPC’s, and generally making the line between monsters and PC’s thinner and grayer. I was one of those guys (the sign guys, not the smash guys). Guys who would roll their eyes at the way people treated the game like series of carefully designed murders, despite having come from a fairly hack and slash origin in my gaming upbringing. And honestly, there wasn’t much to the games back then. D&D had attributes and non-weapon proficiencies, but if all you did was stab stuff, there wasn’t much to differentiate one fighter from another. You really were only getting like 20% out of the game if you were just killing orcs and not playing a character. Some games, like GURPs and HERO rewarded you for taking on disadvantages, but those were exceptions to the general rule. If you didn’t role-play and do it with gusto, you were basically missing out on the point, and just tossing randomizers and getting feedback with numerical plusses and minuses. 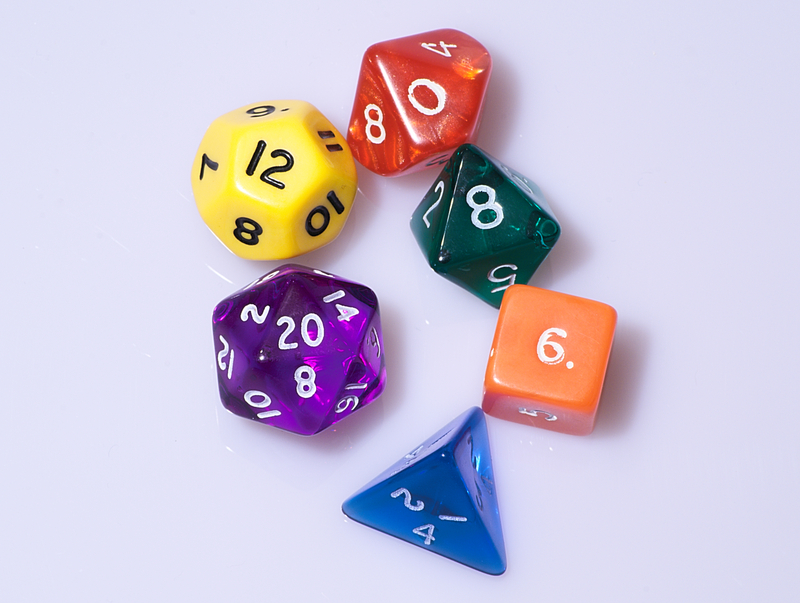 However, with the d20 system coming out in early 2000, suddenly there was this magnificent technical aspect to combat that was tactical, relevant, and combined the importance of role-play with the importance of mechanical mastery of the game. Games were literally won by inches, flanking maneuvers, and so on. Plus, a character could be built to have a very unique skill set, coupled with feats that make one rogue very different than most others. Pathfinder has built on this tradition, and still plays that way. But notably, people deficient at the “Roll” part of the game started to catch as much crap as those who used to ignore the “Role” part. Total abject TPK failure was something I longed for. The mechanics, I started to realize, gave me restrictions that forced me to narrow my focus and restrain my potential in ways that made things interesting. And the grit of combat mechanics created limits which structured the way I played the game into more meaningful transactions. Not just data being exchanged, but actual tactics. Meaningful choices in mechanics inspired by the color of character. So where’s the balance? We’ve been playing our way through a couple higher level campaigns, and sometimes these combats can slow to a frustrating grind. On the other hand, sometimes the unique and random situations that arise from those combats create really memorable events that advance the story. 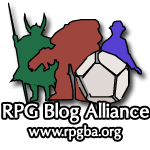 Everyone values a different aspect of that experience, and there are certainly lots of games out there that give a different balance of the “roll’ versus the “role”. Finding the one you like is a matter of trying different games with different people. Somewhere, there’s a perfect balance for you, depending on your taste. The only problem you might discover is finding a group of people like you that can meet to play that favorite game. Maybe those tear-tabs weren’t such a bad idea after all. Back in November of 2012 I received a Pathfinder Society boon that allowed me to create a character of the kitsune, nagaji or wayang races. I went through many different builds of all three races and finally decided on a kitsune character. But I decided that I did not want to play a roguish-type of character as that is not my strong suit as a player. I chose a different route for my character, but I did not want to waste all of the ideas that I had. As a result of my inability to make a decision, I present the fourth installment of Pathfinder Society pregens called the Absalom Skulk. Yes, I know the chances are nigh impossible that enough people will have kitsune boons to make a table such as this, but we can all dream, can’t we? The scarlet furred Fauho Hellfox is a serious kitsune with a serious mission; to quell chaos in Golarion in the name of his adopted homeland, Cheliax. He has been training to become a heavily armored Hellknight for some time and even has started to hunt lawbreakers on his own. It was on one of these hunts that he claimed a gun powder pistol from a villain and has since mastered its use to become a crack shot. As master of disguise, Llwyn Foxpaw uses her innate abilities to gather information for the use of the Pathfinder Society and herself. Fast becoming a major information broker in the style of Grand Master Torch, she uses her own Sczarni contacts to add to her already considerable knowledge. She relishes in the thought of knowing information that others must have (or not yet know they must have). Whiskers is a bizarre specimen of kitsune. If you can overlook his strange relationship with his pet turtle Boxie (whom he converses with constantly) and his two, bushy red tails, you would swear that his thick, black whiskers move unnaturally, almost with a life of their own. He has been assigned to the Grand Lodge in Absalom to keep him out of trouble. A true believer in Sarenrae, Vos Bushtail has divined that she is the one and true god and rejects all others. He believes that she is present in both the sun and the moon and watches over all her children from up high. As a messenger of her glory and goodness, he has aligned himself with others of the Silver Crusade to bring new teachings to the Pathfinder Society and all of Golarion. A rare master of the blade, Vixara grew up in the rocky hills of an Eastern Land perfecting her craft in solitude. A she was unable to keep a master and so joined the Pathfinder Society so that she could travel the world, plying her talents for the Lantern Lodge. Happy GM’s Day! An annual event, GM’s Day started on EN World in 2003. The date, March 4, sums it up: March Fo(u)rth for GM’s Day. Today is also the 5th anniversary of Gary Gygax’s death in 2008. 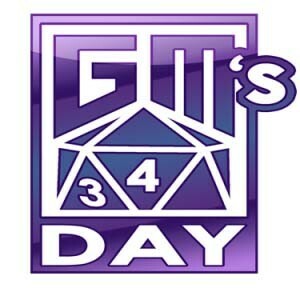 Celebrating the people who create and run games and celebrating the original creator of the role-playing game , GM’s Day is also a time when many companies offer discounts on their products, and is the perfect time to show your GM (or DM or Referee) that you appreciate all of their hard work.